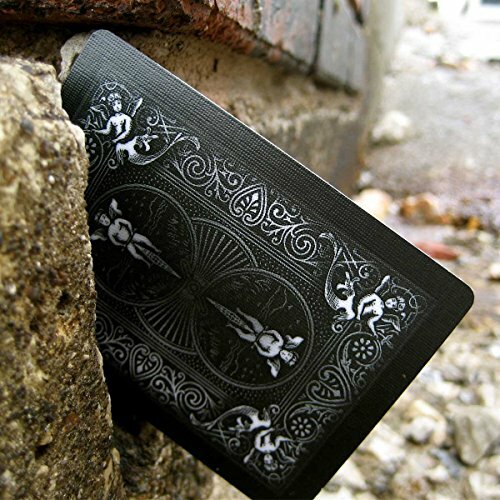 Bicycle Shadow Masters Playing Cards by Ellusionist - High Quality Finish, Thick Stock - The theme promotes darkness and shadow. Handling the deck, you now know what it is to have efficient, quality tools in your hands and use thick, luxury stock. The finish is time tested classic glide and durability of the USPC air-cushion finish. Black ink gives way to the dusky, faded approach on the artwork. The Ace of Spades is guarded, stately and confined to shadow. Your talent is best kept quiet and used wisely.